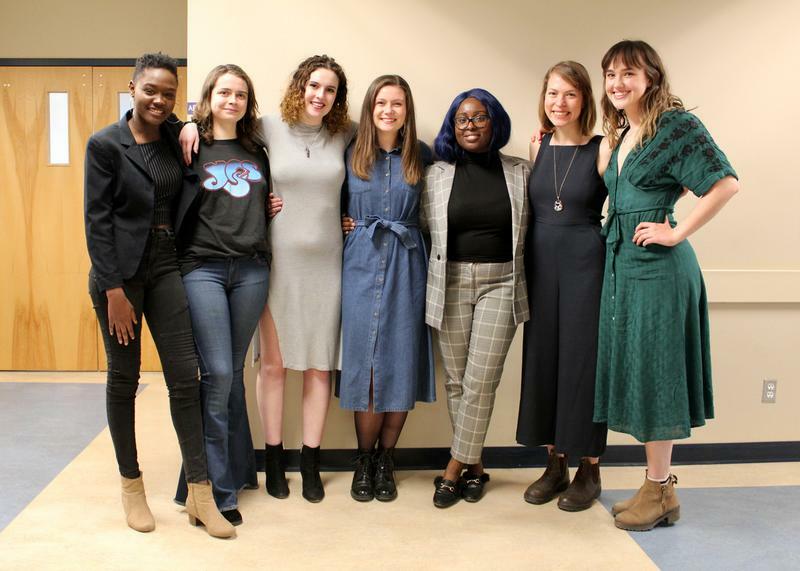 By Ellie Longman-Rood · March 15th, 2019 at 5 p.m.
A team of students in the Gender and Women’s studies launch new academic journal, “That’s What [We] Said” on International Women’s Day. This year, UBCO’s International Women’s Day also marked the launch of the new student publication “That’s What [We] Said.” After discussions began last September, the journal was launched on March 8, and became accessible for all to read online, thanks to a team of driven students in the Gender and Women’s Studies faculty. The editorial team consists of Christine Fedusiak, Stephanie Awotwi-Pratt, Claire Feasby, Kenya Gutteridge, Radia Mbengue, Tayana Simpson, and Allison Brown. The main aim of the journal is to “challenge social norms” and “facilitate a creative platform for an intersectional feminist discourse,” as it seeks to explore issues from all different cultures at an accessible level. The name of the journal itself is a clever play on the colloquial expression to attack female expression, “that’s what she said,” which Fedusiak explains acts as a “reclaiming” of the female voice and a challenge of existing stereotypes. The first edition is entitled “Body/Politics,” with each of the editorial team approaching it from an angle that resonated with them. Publishing this first edition is already a huge achievement, but the team is already looking at what is next for their journal. Fedusiak spoke at the launch on how she hopes to publish issues as annually and encouraged submissions. The team also explained how they owe their gratitude to the people who have helped them along their journey. This being the staff in the faculty of Gender and Women’s studies, including Lori Walter, the Scholarly Communication Librarian at The University of British Columbia Okanagan Campus; and Alison Conway, Professor of English and Gender and Women’s Studies. They also pay their acknowledgements to Matthew Brown, who designed the journal’s Logo. The first issue is available to read here.